A wedding is a very special event for the people getting married and the people who are there to witness and celebrate the union. Because of the magnitude of the event and its meaning to the people who are attending, every little thing that happens, whether good or bad will be remembered by everyone involved. Granted, it takes a lot of planning to pull off a wedding but there are some things that can easily go wrong and spoil the proceedings. 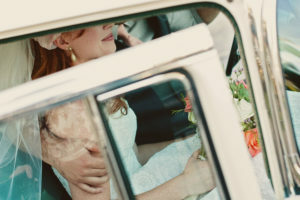 Believe it or not, transport logistics is one of the most important parts of the wedding. It does not matter where the wedding is being held, somehow there are people and items that need to be transported. It becomes more important if the wedding team will be moving from one venue to another. Everyone wants to get married in style, the guests need to be transported in fashionable nice looking cars to conserve the ambiance of the event, special people like the minister marrying the couple, the bridal team, the band, catering etc. all need to be transported. Pulling together all the transport logistics can be very stressful and challenging but it needs to be done if the wedding is to go ahead smoothly. The best way to ensure that the transport is covered effectively during a wedding is to seek the services of a reputable transporting company like Premier Sedan Services. These transporting service companies will provide beautiful chauffeured cars for the couple, the bridal team, and guests. The problem with the weather is that you can not control it. It can just rain from nowhere or get excessively hot. Smart people always try to be prepared for eventual weather problems by getting affordable clear umbrellas or hiring a transporting company to provide weather safe vehicles for the event if they are going to be moving from one venue to another. Documenting the event is very important, as such photographs occupy a special part of a wedding program. Disorganization can horribly affect the whole photo session and ruin a wedding. It is better to hire a professional director and photographer to run the photo session and document your event in a memorable way. It can begin by one person who is part of the wedding running late, it could be the minister, the parents or the bridal team. When this happens it can affect the rest of the wedding program, especially if you are going to be moving from one venue to another. You could assemble all the important people who will be involved in the wedding in one place and hire beautiful chauffeured cars to move the people around. This can help you save some time and have the day progress according to plan. You can never be able to prevent some things from going wrong at a wedding, what you can do however is to be prepared to handle any mishaps and take care of the things you have control over like hiring enough transport for the day and getting competent service providers. See how Premier Sedan can make the most out of your wedding with great rides and professional chafers. Request a quote today!